This weekly travel inspiration is for everyone graduating college this month or otherwise navigating their 20s and trying to decide what to do with themselves. 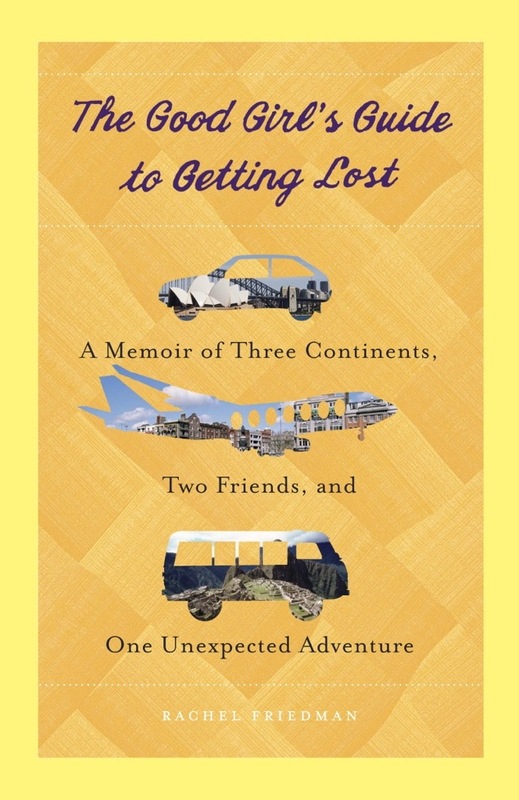 “The Good Girl’s Guide to Getting Lost: A Memoir of Three Continents, Two Friends, and One Unexpected Adventure” is Rachel Friedman’s charming coming-of-age memoir that follows her through her early 20s. It begins the summer before Rachel’s senior year of college, when, rather than get a resume-boosting internship like many of her friends, she gets a job in a pub in Galway, Ireland. She is coming to grips with the unknown after giving up on her lifelong dream of being a professional musician. In Ireland, Rachel meets Carly, an Australian woman on a gap year from university, and she discovers a life choice she had never before encountered or considered. Rachel returns to the US to finish college, but when she graduates, she goes to Australian on a year-long work visa to live with Carly’s family, travel, and try to figure out what she wants to do with her life. Rachel and Carly’s adventures backpacking around South America together round out this “memoir of three continents.” Friedman’s writing aptly conveys the inner exploration that occurs when many 20-somethings travel. She explores these themes honestly, and while “finding yourself through travel” is a cliche, Friedman won’t leave you feeling jaded. She’ll probably make you want to explore. I picked this book up and read it last summer, when I had just graduated from Tufts and was planning to embark on my own “what am I doing with my life?! Better take off to another continent” adventure. A coming-of-age story was actually a welcome surprise when so many travel memoirs these days are written by divorcees and career-breakers (we’re living in a post-Eat, Pray, Love world, after all). I am by no means saying these memoirs of discovery in your 30s, 40s, 50s, etc. are not important, wonderful books. I’m just recommending this one to all the 20-somethings I know because it’s a book about giving up on the version of yourself you think you should be, and opening yourself up to who you could be. And that’s a valuable lesson. What’s your favorite coming-of-age story? What books would you recommend to the college graduate in your life? I’ll have to add this book to my to-read list. I just got back from a semester abroad, and I’m trying to figure out what to do once I finish school at the end of next year. Maybe this will give me some ideas! Thanks for the tip! Rachel Friedman knows what you’re going through! I hope this book helps, and good luck figuring out what you want to do after graduation. At least we’re all muddling through our twenties together.